Relax and unwind with a massage tailored to you using a combination of Swedish and Deep Tissue techniques. A full consultation will be given for you to specify your needs, be it a relaxing full body aromatherapy massage or focus on a problem area such as tension in the back, neck and shoulders. We also offer Indian Head Massage, an uplifting treatment which stimulates the flow of blood, lymph and oxygen in your upper body, and can help to clear your sinuses, relieve stress and help you sleep better. 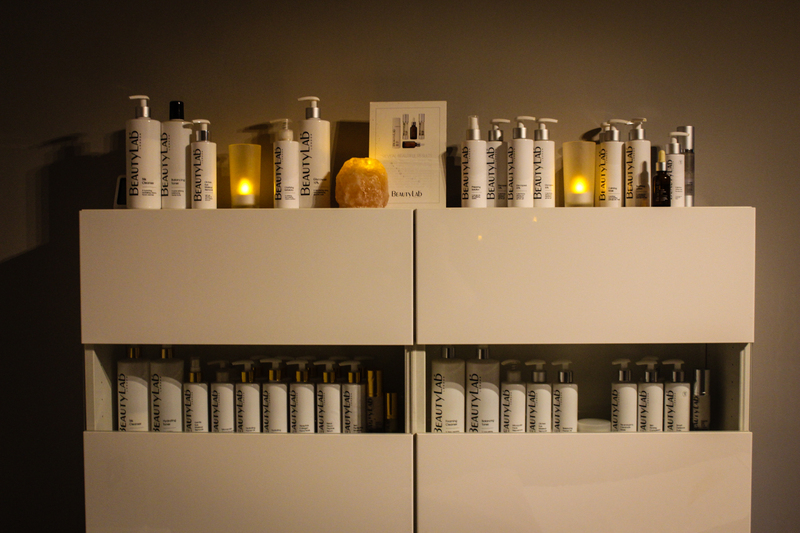 Drift away to the peaceful, calming music whilst our Beauty Lab professional takes complete care of your skin! Our 30-minute Essentials Facial is tailored to your skin type: dry, sensitive, oily, normal or combination and includes massage for the face, shoulders, neck and decollate. The Essentials range is perfect for hydrating and protecting your skin, improving the suppleness and adding firmness to the epidermis, thanks to the key ingredients Hawaiian Seaplant, Ceramides and Micro-Algae. Our Anti-ageing Facial is an hour of bliss, targeting signs of ageing and boosting the collagen and elastin production in your skin to minimise the appearance of fine lines and wrinkles, all thanks to special ingredients such as retinol and hexapeptide-8 (known in the industry as ‘Botox in a Bottle’ as it reduces the depth of expression lines!). This advanced anti-ageing range is specially formulated with exclusive peptides and highly active plant derived extracts for aged and prematurely aged skin. If your skin is in need of revival, brightening or a deep treatment, or if you suffer with acne or hyperpigmentation, try our incredible Glycolic Facial to reveal your fresh beautiful skin with a glycolic glow! This unique resurfacing treatment delivers softer, smoother and brighter skin due to the combination of Glycolic Acid, Salicylic Acid and Pomegranate Enzyme, providing both instant and long term benefits! We also offer a Rejuvenating eye treatment that uses targeted massage techniques and peptides to revitalise and recharge your eye area, helping to target puffiness, reduce dark circles and deliver visible line softening. Your eyes will be left looking bright, youthful and revitalised! 30 mins. All skin types. 60 mins. Aged/prematurely aged skin. Enhance your natural beauty with tinting, waxing, eyelash lifting or extensions! Let us expertly map out and shape your brows to frame your face, tint your lashes so there is no need for mascara, or lift your lashes for that permanent eyelash curler effect! If you dream of having long, luscious lashes for a special occasion or for long-term wear, lash extensions may be for you! Book in for a free consultation to see what wonders our lash artist can achieve for you! Mii also knows that trusting new makeup is a big step, that’s why we developed Mii Consultations. In these tailored sessions, your Mii makeup artist works with you to guide you to the products that are right for you. You’ll even have the opportunity to create a look that’s unique to you. Whether it’s a casual day look, a sultry smoky eye or the bridal makeup that’ll see you down the aisle. 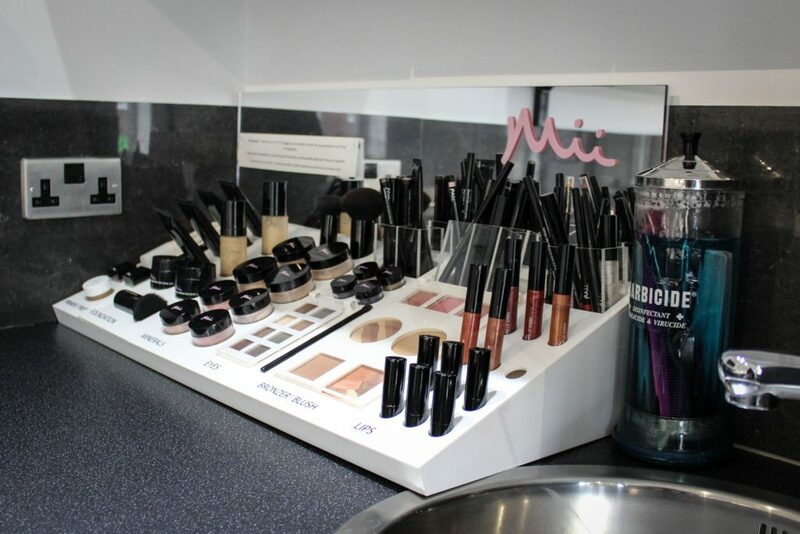 If you are unsure or rusty with your make-up, application, or would like to enhance your skills, why not try a make-up lesson where our Mii make-up artist will teach you about the product range and which products, colours and looks will suit you best! Gone are the days you need to fry in the sun to get a tan! The revolutionary express tan, Kissed by Mii, develops in 1-3 hours depending on how dark you want to be! No need to sleep in the tan and stain your bedsheets, simply go about your day and rinse off when you have reached your desired colour. No smell! No Staining! Just a beautiful golden glow! We remove your unwanted hair using Warm Honey Wax and Hot Wax as efficiently and painlessly as possible, to keep your skin smooth for weeks. Intimate waxing treatments are a breeze with the revolutionary Just Wax Multiflex Beads. With a Berrylicious or Tea Tree scent for people who love a vibrant exciting experience, the beads trap the hair and remove from the root. Discretion is preserved with maximum comfort with perfect results. Beauty treatments for men are increasing in popularity, keeping you looking healthy and feeling your best! As the skin is the biggest organ of the body, it is so important to take care of it as you would your heart or lungs. Regular facials will purify your pores and are also a great way to learn what your skin needs, and it doesn’t hurt that they’re seriously relaxing! It’s also important to remove blackheads, flaking, and ingrown hairs to keep you looking tip top. Believe it or not, lots of men get their eyebrows shaped! Most men are able to make it through the first few decades of their lives without having to do anything about their brows; it’s not till the late twenties or thirties that the hair on our eyebrows starts to grow in a way that it needs maintenance! To avoid wild looking hairs that may distract others when they speak to you up close, or to keep that uni-brow at bay, try our professional waxing service to leave you looking well-groomed! We also provide waxing services for men, including back and chest waxing, to keep your skin smooth and hair free for weeks on end! Includes brow Tidy, Face care (mini facial), Hand or foot treatment, Neck and shoulder massage.